When a person illegally enters or remains in a residence or building with the intent to commit a crime it is defined as a burglary in Washington State. Additional criminal charges often accompany this serious crime. For an example, if an innocent person is injured during the burglary, or if property is destroyed or taken, the culprit could also be charged with vandalism, theft, and/or assault. With a burglary charge, there are three degrees of severity, and all are felonies that come with severe consequences. A person may enter a home or business in Bremerton with the intent to commit a crime and then not follow through or succeed. In the eyes of the law this doesn’t matter, and they could still be charged with a felony burglary. If you or a loved one is charged with burglary, you must treat the charges with the utmost seriousness because the negative consequences of a conviction could ruin your life. There are many nuances that distinguish between different Washington State theft crimes, and the severity of the charges can vary greatly depending on the situation. As you can see, understanding complicated Washington State burglary laws requires professional assistance. Make sure your civil rights are protected by retaining one of our expert Bremerton burglary lawyers. We will offer you sound legal counsel and professional guidance while we aggressively investigate your case in an effort to construct a resolute defense. Felony cases like burglary are heard in the Kitsap County Superior Court, which is located in Port Orchard. What follows is a breakdown of various burglary criminal charges, according to their severity in the eyes of the law. First Degree Burglary is charged when a person enters or unlawfully remains in a building or residence with the intent to commit a crime, and is armed with a deadly weapon or assaults another person. This is a very serious Class A felony charge and is punishable by up to life in prison and fines of up to $50,000. Residential Burglary is charged when a person enters or unlawfully remains in a residence with the intent to commit a crime. This is a Class B felony charge and is punishable by up to 10 years in prison and fines of up to $20,000. Second Degree Burglary is charged when a person enters or unlawfully remains in a building that is not a residence with the intent to commit a crime. Although this is the least severe burglary crime, it is still a Class B felony punishable by up to 10 years in prison and fines of up to $20,000. All burglary charges should be treated with the utmost urgency, as a conviction will likely have serious consequences that may cause you to lose your freedom and your civil rights. 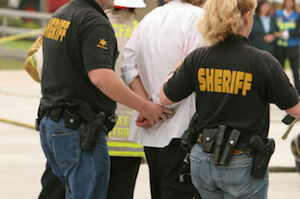 The number one goal of our Bremerton burglary lawyers is to minimize your punishments however possible. Obviously, it would be in your best interests to avoid acquiring a criminal record because it's something that can haunt your for the rest of your life. Depending on the circumstances, your Bremerton burglary attorney may be able to get you entered into a diversionary program, preventing a negative mark on your record. Other legal avenues may be available to you as well. For example, if the evidence that is being used against you was acquired illegally by law enforcement officials, then it may be possible to have the charges against you dropped. Additional criminal charges that often accompany burglary charges must also be vigorously defended. This is why it's so important that we investigate every detail of your case. However, investigations takes time, so it's important to reach out to an attorney as quickly as you can. Remember: We can only help you if you contact one of our Kitsap County burglary lawyers for help. Fortunately, every attorney at our law office today offers a free consultation. Our Bremerton criminal lawyers have more than 50 years of collective experience, and they can help you take the next step toward preparing a defense.